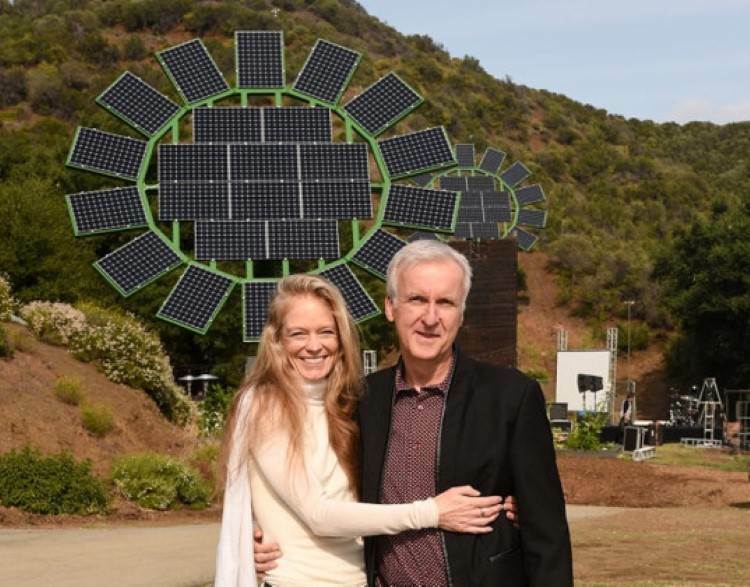 James Cameron has given his wife five giant solar sun flowers as a gift and they will be powering her sustainable SoCal school. Cameron presented the five photovoltaic sun flowers for the MUSE School grounds in southern California. The flowers have been developed over a period of three years and will be a great step forward for the sustainable school. The MUSE School nurtures environmentally responsible education and the solar sun flowers were given to Suzy Amis Cameron on the annual gala of the school. Cameron said that it was vitally important to show children just how important the relationship is with the planet. Suzy Cameron was said to be very impressed with the gift and it was the best bouquet of flowers that she had ever received. James Cameron designed the solar sun flowers himself. 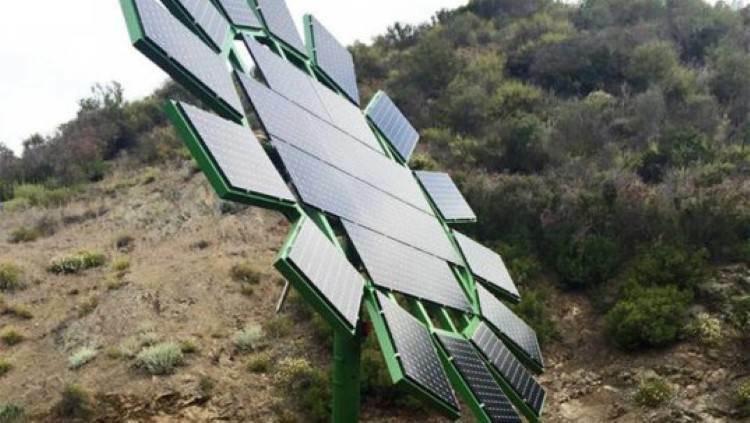 They have 14 solar panels which represent the petals and they have been designed so that they move to face the sun, this is in the same way as a real flower does in order to get the maximum solar power every day. The sun flowers will offset the power usage of the site by around 75% to 90%. Cameron has made the solar powered sun flowers open source and will be making the plans for them available online so that other people can make their own. wow, this is really very nice.Thanks for share this. Oh super gift to Mrs James Cameron from the husband.